With In-Home Private Training, work on the specific issues that are important to you. Together we design a personalized training plan to fit your specific goals, dog and schedule. Learn new skills, brush up on skills, socialize your dog and teach him to work for you around distractions. We specialize in treating separation anxiety and help your feel dog relaxed and comfortable while left alone. You deserve to have the best dog ever. When you and your dog learn to communicate great things happen. You will be delighted at the difference in your dog’s behavior. Have you gotten a new puppy? Recently adopted a dog? Or just have a dog that could use some additional manners? Getting your puppy into a well-run puppy class or private socialization program will have lifetime benefits for you and your puppy. See the Pet Professional Guild's statement on this subject. Club? Or might you both love working as a Therapy Dog team? Learn more at Therapy Dogs International. 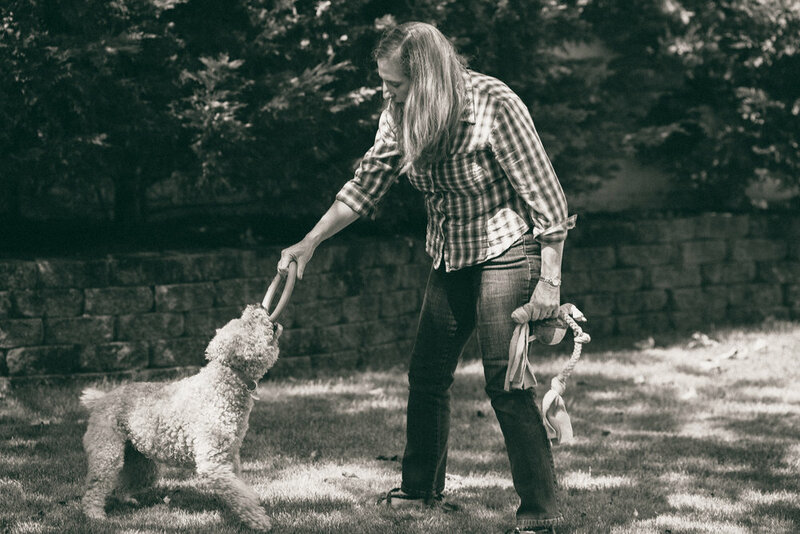 It doesn't matter if your dog is old, young, shy or outgoing, I will use effective, science-based, force-free methods to teach new behaviors, and get rid of unwanted behaviors. My lessons are fun, and stress-free for the humans and the dogs. We are kid and family friendly, I love getting children involved in training the family dog and teaching safe dog and child interaction. Helping fearful children and adults feel more comfortable with the family dog is a specialty.